Home / How to complete the Checkout process on ELEXtensions.com? If you are having trouble purchasing our ELEX plugins, follow the instructions explained in this article. 1. Select the desired plugin from our plugin archive to proceed to its product page. On the right side of the page, you can see the license (or the number of site subscription) options. 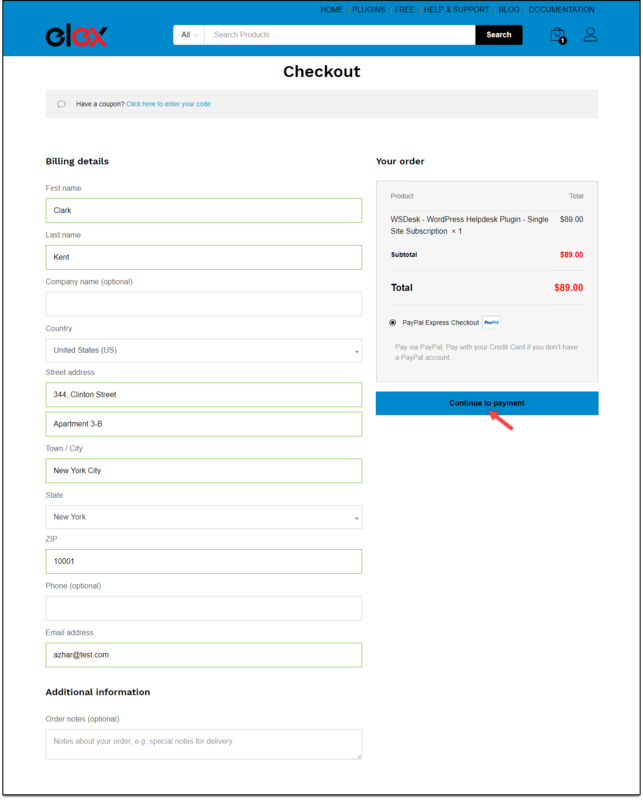 Select desired subscription and click on Add to cart button. 2. Next, you’ll be taken to the cart page from where you can proceed to the Checkout page for payment. Currently, we accept payments with PayPal Express Checkout payment gateway. Enter your billing details, email address and password (if you have not logged in to ELEX) and click on Continue to payment button to proceed further. If you wish to use your PayPal account, enter your login credentials and proceed with the payment. 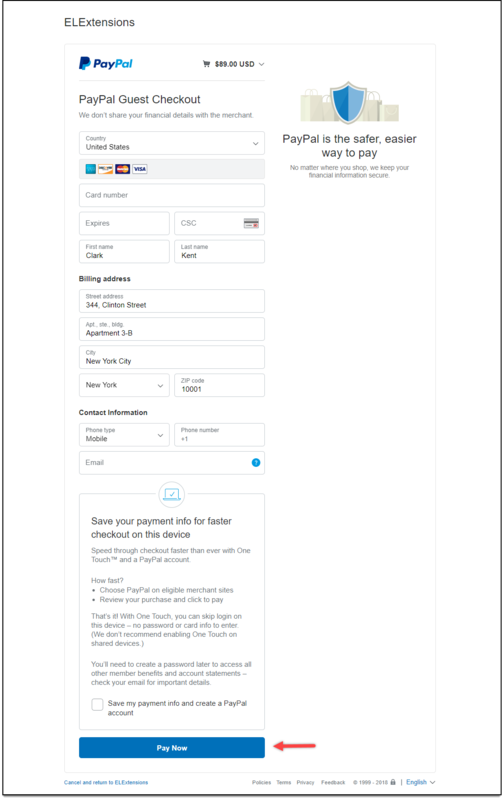 Or if you want to use Debit or Credit card, click on the respective button to proceed further, as shown in the screenshot below. In the next step, enter your card details, confirm your billing address and click on the Pay Now button. Once the payment is successful, you’ll see a confirmation message on the ELEX screen. For free plugins, you can read the Obtaining the free ELEX plugin section of our another blog article. To download, install, and activate your ELEX plugin, read our article for step-by-step instructions. To know how to set up the plugins, read the respective product documentation from our documentation section. You can also check out our blog section for more informative articles.